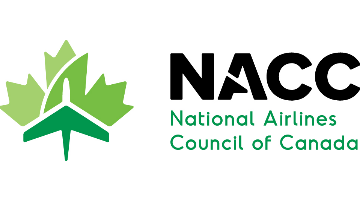 The National Airlines Council of Canada (NACC), a national Ottawa-based association is seeking an experienced policy and public affairs professional to join its team as Senior Director, Research, Advocacy & Communications. Reporting to the President and CEO, the Senior Director will be responsible for the development and implementation of public affairs strategies including government and stakeholder relations, as well as research and analysis in support of NACC's corporate objectives. Effective communication skills, discretion, sound judgment and professionalism are paramount in this role. This is a full-time permanent position with a target start date of February 2019. Experience writing policy documents, briefing notes, backgrounders, etc. Solid work ethic, commitment to producing high quality work, and attention to detail. Proven ability to work under the pressure of deadlines and shifting priorities in a fast-moving environment. A minimum of a Bachelor’s Degree in political science, public administration or economics; or an undergraduate degree in another discipline along with a relevant mix of experience is required. A Master’s Degree in a relevant discipline is an asset. Expressions of interest in this opportunity must be received at the above e-mail address no later than end of business day January 14, 2019.